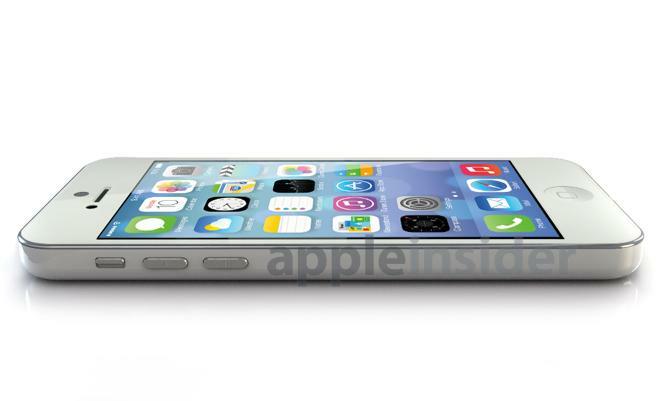 With schematics of an alleged low-cost iPhone now in the wild, AppleInsider offers a glimpse of what that device might look like as an actual product in this pair of high-quality 3D renderings. These 3D renders are based on the schematics shown in blueprint images that leaked earlier this week. Major iOS accessory companies are currently high in their convictions that the leaked blue prints are indicative of the much-anticpated low-cost iPhone and are currently designing and building cases to fit this form factor. The speaker and microphone holes on the bottom of the device are circular, and akin to the current iPod touch design. In an interesting marriage of hardware and software, the circular openings are also similar to the new signal indicators in iOS 7. Like the iPhone 5, the bottom of the rumored low-cost iPhone also includes a Lightning port, with screws to the left and right, as well as a headphone jack. On the left side, the volume controls are pill shaped, like the iPod touch, rather than circular, like the iPhone 5. The back corners of the device are also curved, bearing a resemblance to Apple's iPod classic. Aside from those tweaks, the anticipated handset is unmistakably an iPhone, featuring the standard home button and a 4-inch display. The leaked design is slightly thicker than an iPhone 5, and is expected to have a plastic back panel to keep costs down. Despite the rumored plastic body, Apple's new, more affordable iPhone is not expected to be a particularly cheap device. The CEO of electronics manufacturer Pegatron even said as much in an interview this week. Accessory makers have enough faith in this design that they have begun manufacturing cases for it. Well-connected analyst Ming-Chi Kuo of KGI Securities said earlier this year that although the back panel of the new iPhone model is expected to be plastic, the casing will be slimmer than with most plastic smartphones. As a result, he said, Apple could face challenges in manufacturing the unique device. While case makers have enough confidence in this design to begin manufacturing accessories based on it, there is no guarantee that a low-cost iPhone will look like this, or even that such a device will exist. Companies famously gambled on a bogus teardrop-shaped design in 2011 that never came to be. 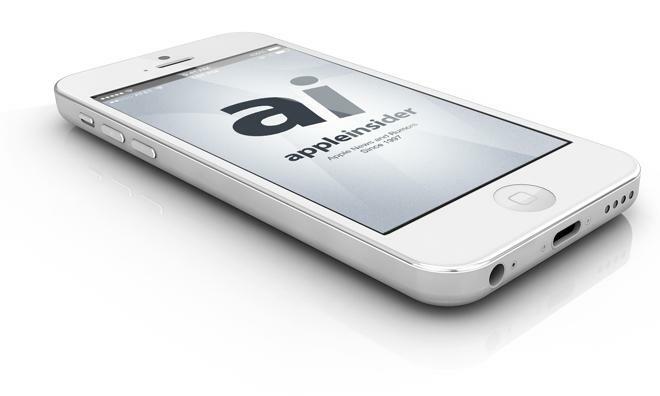 Rumors have suggested that Apple will introduce a less expensive iPhone model, alongside a premium "iPhone 5S," this fall. Market watchers believe such a device could allow Apple to tap into the fast-growing unsubsidized segment of the smartphone market. In particular, emerging markets such as China and India have been pegged as potential growth opportunities where Apple could be missing out on sales, due to the non-contract pricing of its current lineup. Used iPhones are so popular overseas that Apple itself has partnered with Brighstar Corp to begin taking trade-ins at its hundreds of retail locations. For more on Apple's so-called "iPhone Lite," see AppleInsider's extensive coverage of the rumored smartphone.